It’s a pretty frightening thing to be told your ‘fur kid’ has a serious condition such as diabetes. Is there some advice for dog owners whose pets have been diagnosed with the disease in terms of their attitude? While it is scary to be told your ‘fur kid’ has a serious health condition it is imperative for their long term behavioural health that they are treated as normally as possible. Inordinate amounts of ‘fussing’ over a dog can cause the dog stress and long term behavioural issues such as attention-seeking and separation disorders. It is entirely possible to provide your dog with the level of care and attention it needs without seriously mollycoddling them. Find a good veterinarian and follow their advice regarding treatment options to get diabetes normalised as quickly as possible. Do dogs with diabetes (or any serious illness) need ‘special treatment’ in terms of the way the family interact with them, or can they continue to be treated as ‘part of the furniture’? All dogs, especially those with serious illnesses, need to have a quiet place to rest, away from the noise and hustle and bustle of daily life. Dogs that are not provided with enough opportunities to rest and relax often become stressed and this can exacerbate medical issues. The old saying ‘Let sleeping dogs lie’ is especially true where sick and injured dogs are concerned. They should be allowed to rest, away from noisy children and even other pets. Often dogs with serious illnesses enjoy having crates that they can access when they feel the need. Crates are ideal in homes with children as the children can be taught not to approach the dog if he’s resting in his crate. Do parents need to teach children to be gentler with a diabetic dog? Once diabetes is normalised diabetic dogs are not much different to any other dog. Children should be taught to respect and be gentle with all dogs, not just sick ones – this is how dog bites are avoided. While the disease itself does not affect behaviour, any dog that is unwell is likely to behave in an uncharacteristic manner. Aggression and anxiety based issues are more common in sick and injured dogs. In fact behavioural issues are often a symptom of an underlying medical issue. Take note of all behavioural changes and discuss them with your vet. 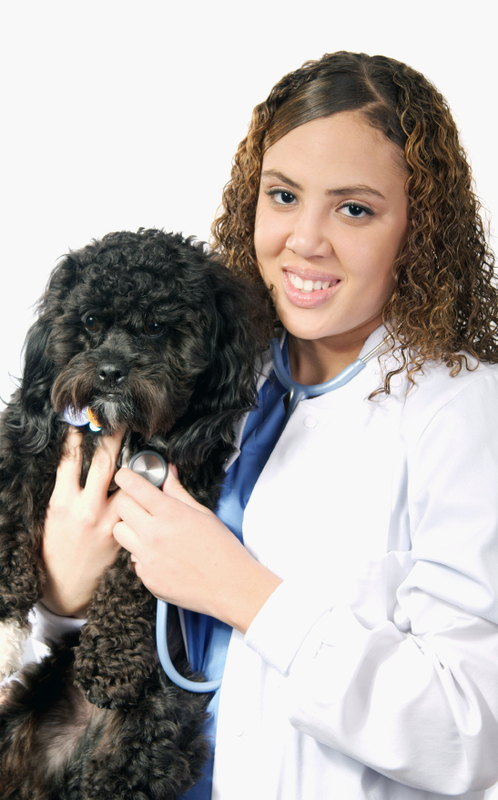 What other tips could help a person caring for a diabetic dog? Since regular visits to the vet will be required when taking care of a diabetic dog it is important to teach your dog to love visiting the vet. Take your dog to vet when you do not have an appointment for treatment and have the reception staff give your dog a pat or an appropriate treat then leave. When you are visiting ask the vet to give your dog treats or have a brief play (if your dog enjoys play). If all of your visits involve unpleasant procedures such as blood tests etc then your dog will be less than enthusiastic, even hard to handle at the vet which is very difficult if you need to visit the vet regularly. Keep your eye out for behavioural changes such as lethargy, loss of enthusiasm, increased dependency on you etc as these may indicate changes in your dog’s physical state that may require the attention of your vet. It’s common for diabetic dog to have house-soiling mistakes, these mistakes should never be punished. If you catch your dog toileting indoors simply encourage him outdoors to finish and provide better access to outdoors in future.